5 chars domain name Lytro.com was sold for $51 000 yesterday at GoDaddy Expired Auction. When I first saw the auction I was like WTF. It’s a short brandable domain name, but the price was very high for that kind of domain. Also it’s not a dictionary word. I googled to see what makes this domain name so special. I found the answer immediately. Lytro Inc was a company which develops light-field cameras, founded in 2006 and early this year on March 27, 2018, Lytro announced that it was shutting down operations. It was a big company, from what I found they were funded with $140 Million in 4 rounds from 8 investors. The most recent funding is $50 Million Venture on February 25, 2015. I was thinking looks like they are failed at some point and that’s why shutting down, but found several sources say that Google acquired their assets for the price between $25 – $40 million. This wasn’t confirmed, so isn’t clear when Google acquired their assets before or after they decided to shut down. Lytro.com was registered on 13 June 2003, 15 years old domain name which expired on 13 June 2018. In my opinion this assets acquisition should include the domain name Lytro.com too. There are several cases which may lead for this higher price that the domain name reached on GoDaddy Auction. This is just a guess, probably we will find out in a week or so when the domain name is transferred to the new owner. What do you think is the domain mistakenly let to expire? Expired from the former company and acquired by competitors? 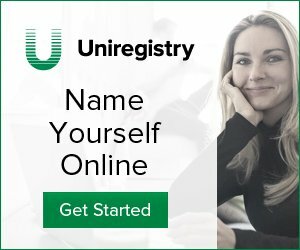 Are crypto related domain names still hot?